Mehmet Topal's second-half goal was enough for Turkey as they beat the Republic of Ireland 1-0 in an international friendly in Antalya on Friday. The home side had dominated possession in the first half, although Scott Hogan had the best chance to put the Irish ahead in the 19th minute - but his angled effort could only find the side of the net. It took seven minutes of the second half for Turkey to strike, though, as a short corner delivered by Yusuf Yacizi was turned home at the near post by home captain Topal. The defeat for the Republic of Ireland follows on from their loss to Denmark in the World Cup play-offs, while Turkey won their first international game in four attempts. Martin O'Neill handed debuts to Declan Rice and Scott Hogan while Sean Maguire made his first start. Seamus Coleman captained the side. 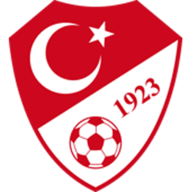 Turkey boss Mircea Lucescu also fielded a much-changed side, but retained Cenk Tosun in his starting line-up. Hakan Calhanoglu and Topal both sent long-range efforts high and wide in the early stages as Republic of Ireland goalkeeper Colin Doyle, winning his second cap 10 years and 304 days after his first, was largely untroubled despite the pressure. Indeed, the visitors might have taken the lead after 19 minutes when Hogan ran on to Jeff Hendrick's pass and rounded keeper Volkan Babacan, only to fire into the side-netting as the angle narrowed. The home side's response was concerted and Doyle had to get down to parry Tosun's well-struck 28th-minute shot, although he could only look on in hope seconds later when central defender Shane Duffy got his head to Gonul's driven cross and almost diverted it into his own net. But the home side forced their way in front after the break, when Calhanoglu and Yazici worked a short corner and the latter crossed for Topal to volley home expertly from close range in the 52nd minute. Sean Maguire and McClean started to come to the fore as the Republic finally made their presence felt, although Doyle needed two attempts to claim Calhanoglu's skidding 67th-minute effort with Turkey still in the driving seat. O'Neill shuffled his pack as the game passed the hour-mark, in the process handing McClean a more accustomed midfield role, and he almost made an impact with 15 minutes remaining when he broke free down the left and fired in a dangerous cross which was thumped away by Okay Yokuslu. 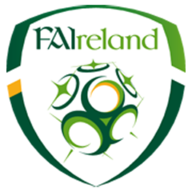 Substitute Daryl Horgan curled an 85th-minute effort well wide with Ireland finishing on the front foot, but it was too late for the visitors. This was Ireland's third loss in their last four friendly games (W1), following defeats to Iceland (0-1) and Mexico (1-3) in 2017. Martin O'Neill's side have conceded six goals in their last two international games, just one fewer than they did in their previous eight games beforehand (seven). After going unbeaten in 10 international games against Turkey (W4 D6), Ireland have since lost each of the last two against them (1-2 in May 2014 and 0-1 this evening). Ireland failed to register a shot on target over the course of the 90 minutes. This is the only friendly for the Republic of Ireland in the current international break, they will next face France on Monday, May 18. Turkey are in action on Tuesday when they travel to Montenegro.